It is officially the first day of fall, and I'd have bust out my sweaters a while ago, but it's like 83 degrees in China right now where I am, with 86 percent humidity. Back in Iowa, it's 45, and just thinking about it makes me want to weep uncontrollably. I love, love, love fall; it's my favorite season, and weather stuff aside, I love the fashion because it's not cold enough to be bundled up in burrito cosplay, but it is cold enough for layers, so who better to show us how it's done than fashion bloggers Felicia, Jordan, Elizabeth, Hayden, and Dominique. 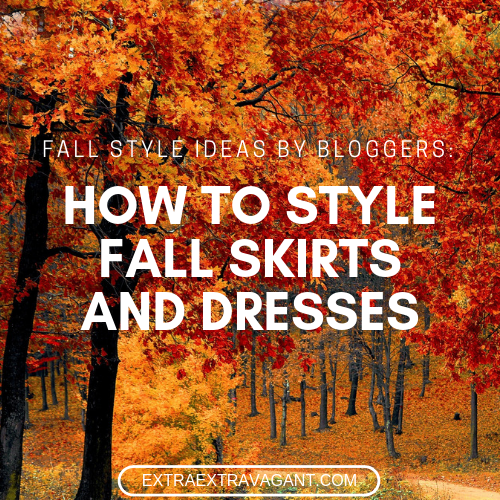 We also have Destiny and Christine with their fall style ideas for those of you in warmer climates. Felicia Marie is a YouTuber and blogger with a love for everything colorful and dramatic. She has been an avid writer and fashion lover since she discovered the beauty of fashion magazines in the pages of Teen Vogue and Essence. On her blog, you will find the latest fashion trends, travel tips, and hair/beauty product reviews. 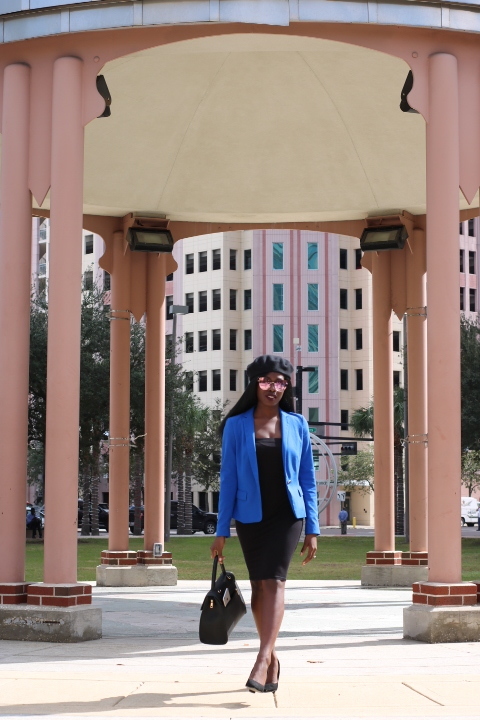 Felicia achieved this sleek professional look by pairing a black tube dress with a blue blazer. What sets this outfit apart from your everyday business chic look is the beret and sunglasses. Check out the featured outfit post here. Jordan is a 24-year-old Los Angeles, CA-based blogger who started The Teacup of Style as a way to express her creativity and inner fashionista. She just wrapped up her first year as a third-grade teacher, and The Teacup of Style is proof that sometimes, the busiest of people make for the best fashionistas. I like Jordan's layering of gray on gray here with the dress and cardigan. The monochromatic look is complete with black sunglasses, purse, and booties, but she added a pop of color with the earrings. Elizabeth also has a business chic look going on here, and it's also fairly monochromatic with the tan coat, powder blue top, and neutral pink heels, but I like the juxtaposed pink purse and dark floral skirt. Hayden is a southern girl who just moved to Denver to start her first job as a travel writer. She just graduated from the University of Texas and has tons of taco recommendations if you need 'em. Over on her blog, Haute Table, she writes about her love of life, food, travel, and fashion. Haute Table is a blog for the everyday person who just wants to escape for a bit with pretty photos of Hayden's latest brunch or the outfit she's currently loving. Hayden's fall outfit is more laidback and casual, and I love the fall colors here with the rust dress and dark blue tartan scarf and brown boots. Dominique Star is a musician and lifestyle blogger based in LA. Her blog, Star Dust, is a haven for today's sorceresses, rebels, and warriors. She writes for girls who want to stand out, explore the world, and live their lives with a little magic. Like Hayden's, Dominique's fall outfit looks comfy af with an olive parka layered over a sweater dress and paired with black shoes and brown purse. Dear Dessie is how Destiny shares life from behind and in front of the lens. When she's not blogging, she works as a freelance photographer in NYC capturing all kinds of unique experiences. Moving into warmer weather territory, Destiny's outfit showcases the lacy pink maxi skirt and, so as not to draw attention away from it, she paired it with a simple fitted tee, black booties, and brown crossbody. 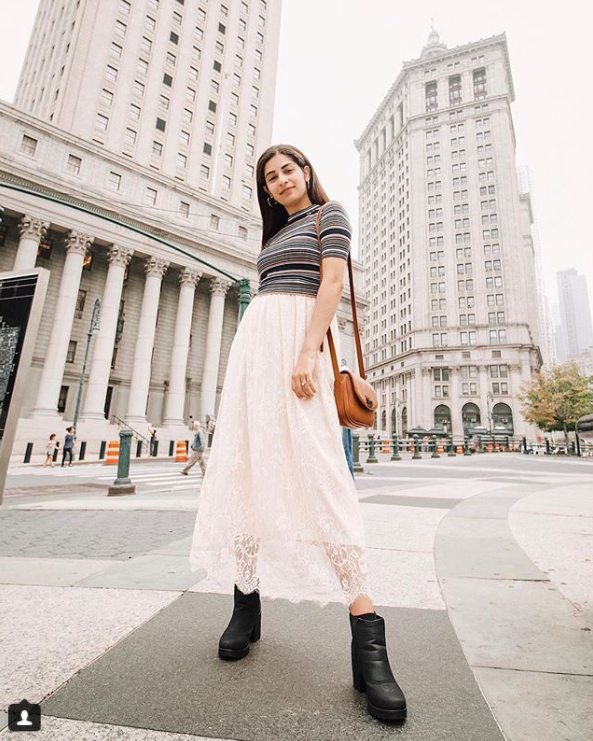 Christine is a Philadelphia-based travel, lifestyle, and fashion YouTuber and blogger. She loves sharing her passion for all things travel, food, fashion, beauty, music, and lifestyle through an authentica and vulnerable lens via her blog, YouTube channel, and Instagram. She's committed to sharing her innermost thoughts, experiences, and love for the world around her through and honest, unique, and personal narrative that connects with her audience. 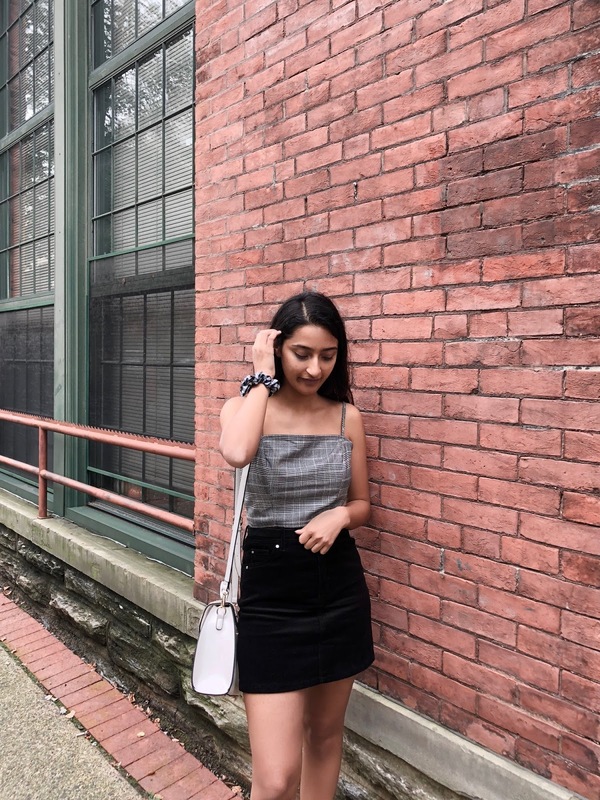 Whether it's her favorite product, a bomb playlist, a recent trip, or her everyday routine, she aims to inspire those around her to broaden their horizons and pursue their passions. Christine's outfit uses simple gradiated black as the focal point. She paired a black skirt with a gray tank top and white crossbody. From Felicia, Jordan, Elizabeth, Hayden, Dominique, Destiny, and Christine's outfits, it looks like this fall, monochrome is the palette of choice if you want to move away from the usual woodsy fall colors, and if monochrome is too muted for you, take a cue from these fashion bloggers and add an eyecatching pop of color with your choice of accessories. For more fall style ideas by bloggers, check back next week when more fashion bloggers will share their fall outfit inspiration. To be notified of this and other new posts, follow me on Twitter, Facebook, and Pinterest! What do you love most about the fall?